After spending a few weeks with the new Google Nexus 7, I came to the conclusion that it’s one of the best Android tablets around. But it’s not the only cheap, decent tablet around. 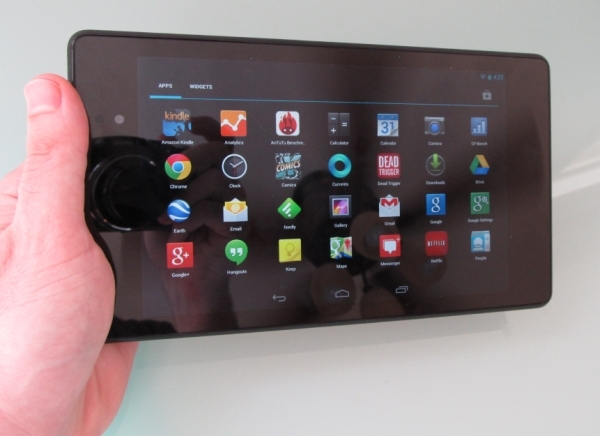 Some of the most popular stories this week at Liliputing have been about budget tablets. The 2013 Nexus 7 sells for $229, but for a full $100 less you can get a pretty great tablet with the Hisense Sero 7 Pro. And if you managed to snag an HP TouchPad tablet when they were selling for $99 a few years ago, there’s good news for you: the latest builds of Android 4.2 Jelly Bean for that tablet bring back support for Bluetooth. Here are some of the most popular stories from Liliputing from the past 7 days. The new Google Nexus 7 is certainly the best Android tablet you can buy for $229, and it’s probably one of the best Android tablets available for any price at the moment. The market moves fast, so it probably won’t hold onto that title long, but I enjoyed using this tablet more than any other I’ve tested. Already have the new Nexus 7, but want to have a little more control over it? There’s a new toolkit that simplifies the process of rooting the tablet, unlocking the bootloader, and making other changes. Don’t want to spend $229 on a tablet? The Hisense Sero 7 Pro is probably the best bargain around. It’s basically what you’d get if you took a 2012 model Nexus 7 and added a microSD card slot, rear camera, and some other goodies. The price was originally $149. Now it’s even cheaper, at $129. Jean-Baptiste Quéru used to be the head of Google’s Android Open Source Project. But he got frustrate with his inability to do that job when Qualcomm refused to make some of the necessary source code for the latest Nexus 7 tablet available. So he quit. Interestingly, shortly after he announced that decision, Google posted the factory images and binaries for the Nexus 7 online. Long before Archos, NVIDIA, or Ouya started offering Android gaming devices, JXD was making PlayStation Portable clones that run Android. The build quality is usually pretty poor, but the price is usually pretty good — and the latest models have some pretty decent hardware under the hood. Dell is now offering two business-class ultrabooks with Intel Haswell processors. Unfortunately the first models available are stuck with 1366 x 768 pixel displays, but Dell plans to offer 1080p models soon. Two years after HP shipped, and then promptly discontinued its first and last webOS tablet, it’s still alive and kicking thanks to unofficial Android software updates. The latest builds of CyanogenMod are the first versions of Android 4.2 to support Bluetooth for connecting a keyboard or transferring files.